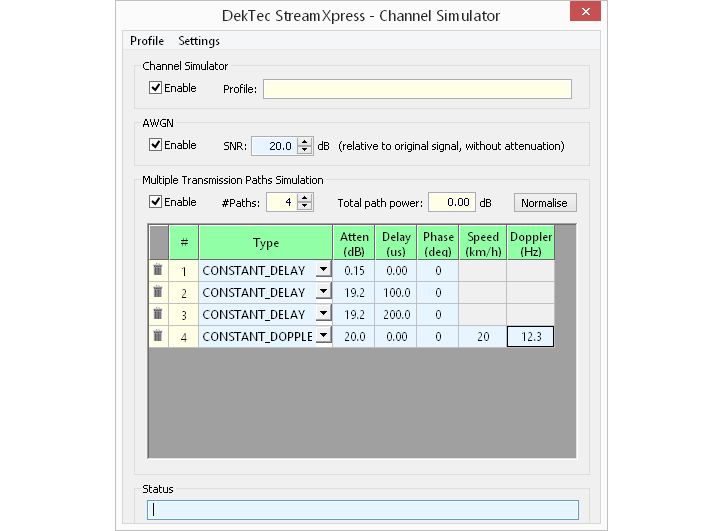 DekTec's versatile stream player software. 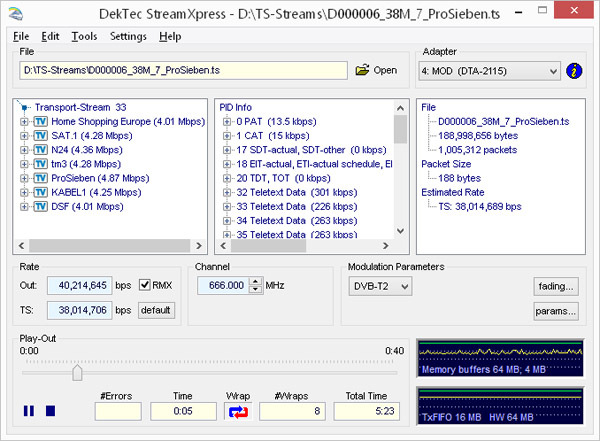 The StreamXpress allows you to build a low-cost, high-performance stream player using a standard- or industrial PC and a DekTec output adapter. Remote control API for StreamXpress. Demos at trade shows, in stores, etc. 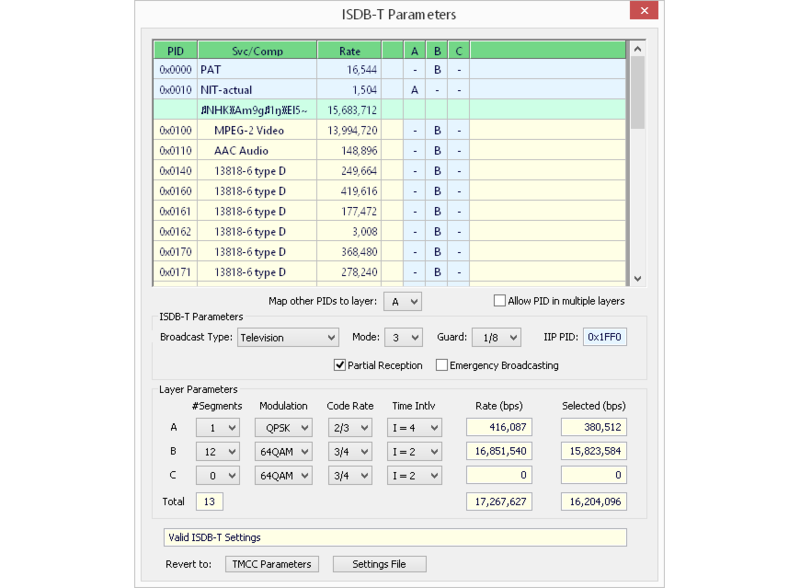 Advanced software for generation of DVB-T2 signals with support for all DVB-T2 parameters. With T2Xpress you can create multi-PLP signals, T2 lite, T2-MI, and more. StreamXpress is the tool for conveniently generating a vanilla single-PLP DVB-T2 signal, while T2Xpress can be used for anything that is more complicated than that. Please note that you do not need a special license for T2Xpress. 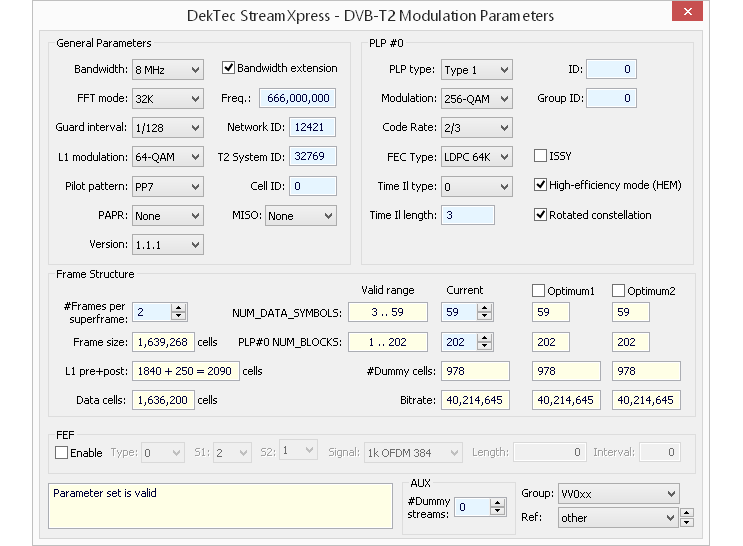 If you have a modulator card with StreamXpress and DVB-T2 modulation option, you can run T2Xpress.